Dvoretsky's Endgame Manual could be the book to go next after mastering the material of the any of the basic endgame books (I recommend Silman's). The contents are systematic and highlight what is important and what's not. Ratingwise I would discourage anyone below 1900 to read it however as these players could profit more from focusing more on tactics and saving this one for later. I myself am enjoying Müller's and Lamprecht's Secrets of Pawn Endings at this time, but wanted to give a quick comment on Dvoretsky's anyway. You might not be aware of this but there exists a Chessbase electronic version of the book. Today I give it a look at its pros and cons. 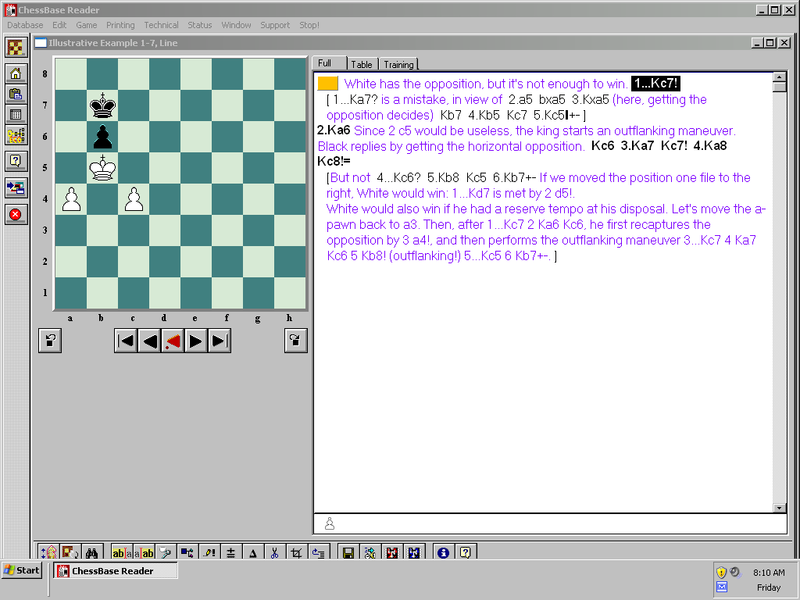 The positions are organized in standard Chessbase format. These can be studied one at a time as in the printed book, and can also be sorted, searched, edited, etc. The text color appears to be less of an issue here. Some complain the light blue text on the printed work is hard to read. 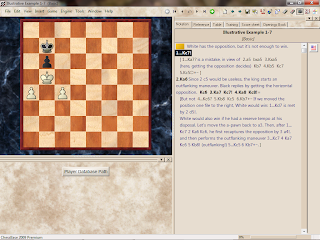 The material is there, sure, but feels bit forced into the chessbase format. Need of a screen. Probably this one the biggest one. Printed text & diagrams feel much better and portability could be an issue. By the looks of it this version wins almost hands down. On the other hand, at least for me, a lit screen feels unnatural. On the third hand one is understandably justified in not wanting to expend double just to get the best of both worlds. There is a way of sorts to have your cake and eat it too. 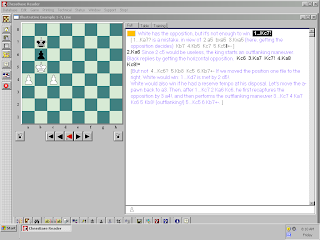 If you own the standalone Chessbase program or the light version, you can select all the positions from the games tab and send that to print. Using a virtual printer, such as DoPdf, you can convert the output into a PDF and transfer that to a e-reader. Unnumbered text lines won't print directly and must be done and sorted by hand (more on the tools here). Also, medals won't print, but you can get around this by pre-annotating each position with the proper medal info in the annotator field. Probably one of the most wished for quality or virtue for oneself is, along with better memory and physical beauty,a stronger willpower. What we wouldn't give for that? Many of us believe that you've either got it or not, or that, if attainable, it might entail to enroll in a monastery or something. Great news: it is not necessary! The Willpower Instinct by McGonigal may very well be the only thing needed. This book consists in a whole set of techniques that help overcome challenges that hinge on willpower. Willpower focuses on real life, on the field application. The author goes about this on two ways: a)Only the immediately relevant information is given, meaning that she doesn't waste the reader's time on superfluous expositions, even if those might be interesting on their own; and b) involving the reader by asking him to look closely at how he or she reacts to certain situations to awaken mindfulness (Under the Microscope sections) and giving him things to try (Willpower Experiments) to open previously unexplored and fruitful vistas. The result is a book that is full of approaches, some that reinforce each other, others that can work by themselves, to your particular willpower problem. For my part, I find the concepts and exercises easy to get into, helpful and surprisingly powerful despite their apparent simplicity. All these are strong enough to deal with run of the mill willpower difficulties and can lend a hand in more difficult areas. Be warned however as it does not claim solutions for really big problems such as addictions or mental issues; professional help might be the best choice for these. No fluff, all or most good, and just one read away. What more could you ask for? Here's a small children's story I wrote on my last birthday. Any Illustration you might send in will be appreciated. There was once a small bear. One day she found a jar of jam lying in the forest. "Is it honey?" she asked her mom. Mamma bear smelled at the jar. "No," she said "it is jam." "Is it like honey?" asked the small bear "It smells sweet!" "And so it does, but it isn't quite honey"
"Phewee, I sure wish it were"
"I can catch a salmon or two if you are hungry"
"Salmon would be nice, but honey would be even better!" "My dear girl. Let us find then a honeycomb for my sweet little honeybunch"
And so they did and the small bear had her fill of honey. One of the reasons for reading is to answer questions. I had quite a few regarding Japan's place in history and world society so I decided to find out. My questions were: Who are this Nobunaga, Hideyoshi, Ieyasu persons and gang that I keep hearing about? How did the Western contacts happen? How did evangelization take place and why it was ultimately uprooted? What triggered Japan to pass from a 'backward' & 'closed' country to a preeminent player in the world stage ? How did it turn imperialistic? What were Japan's campaigns in the rest of Asia? Was it close to winning? How did the relationship with the other Axis powers came to be and how did it work? How did it rose from the ashes? I was lucky to find just the book that addresses most of these questions in Jansen's Making of Modern Japan; donated by the Nippon Foundation to my local university library no less (along with some dozen other titles. Thanks!). Just shy of 800 pages, it is a large book. It includes some maps and some two dozen pages b&w photos of people & events. There are undeniable difficulties in Japanese history. One of those is that at each turning point the players and events convulse making them hard to follow. By no means the sequence is a clear-cut matter. A more forgiving historian might try to smooth things over for the benefit of the general reader. In Making Jansen cuts almost no slack.The book starts fine with the unifiers and early Western contacts, but then the magic somewhat fails. He frequently goes into deep detail mode as he really wants to make sure the reader gets all what it took into the shaping of the country making him go out of his way as to not gloss over anything. The result is a fine analysis on one part, but also some numbing stretches, particularly on the Tokugawa period. That's fine, I guess, if that's your focus, but at least for me less could have been more. Once contact with the major Western 19th century powers happens, the narrative gets traction once again interest-wise. With the Russo-Japanese war it shifts into gear, culminating in the Pacific war and beyond. By the time of the contemporary era, one feels that one is reading an entirely different book as the setting and events are easier to grapple with. The other main problem with the subject matter is that it is frequently difficult to sort who is who. For many of us Westerners this is our first acquaintance with any of them and a quick look at the index readily reveals some two hundred names. On the plus side it touched upon most of my blanks so in the end it suited me well in this respect. However, I had to plough through too much to answer my questions. A better approach would have been to skim-read it, instead of obstinately trying for completion. In view of this, I hesitate to recommend it for the general reader. If you have a very special interest in Japan, you're in for a treat; otherwise, look for something easier. I have coming up next In search of modern China by Spence. Having learned my lesson, I'll now skip whatever doesn't readily interest me, read what does and go back to whatever I feel I missed. Hi. I'm interested in books, tea & tech of course. Chess (I'm about 1900 elo on Fics) and music too. 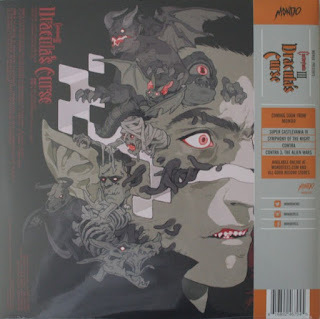 Some anime on the side; have a Crunchyroll account over there. I swim daily on weekdays and have joined a gym (I want my own Frank and Andy). Never learned to ride a bike though. Thanks for stopping by. (c) Copyright Carl05's blog. Blogger Templates created by Deluxe Templates. Wordpress designed by New WordPress Themes. Powered by Blogger.